Angkor Miracle Resort & Spa is a luxury hotel, featuring 247 elegantly appointed rooms and suites. It’s located at a short distance from the center of Siem Reap and right opposite to the Cambodian Cultural Village. This amazing resort puts everything at your disposal that you could desire: a gastronomic restaurant, four different bars, one of the best spas in town, a fitness center, a large swimming pool and a tennis court. The decorations in the rooms and lobby are breathtaking and the staff offers an impeccable service to fulfill your deepest desires. 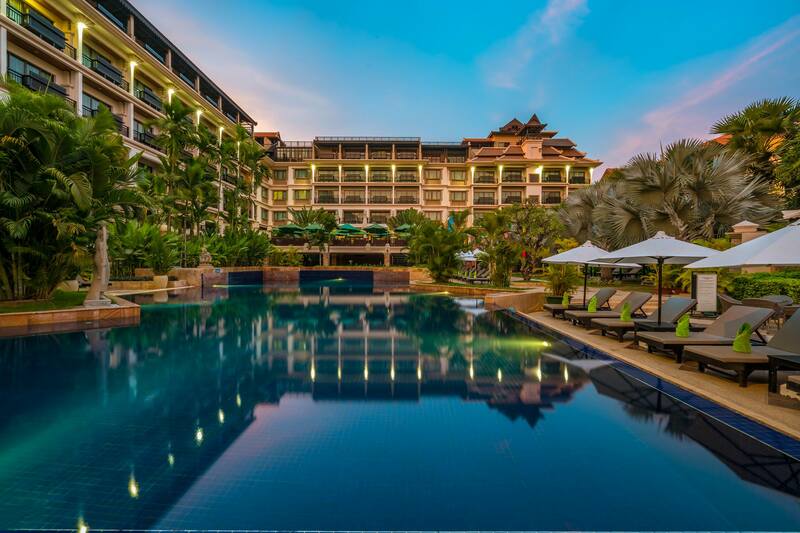 Angkor Miracle Resort & Spa is definitely Cambodia’s newest name in luxury resorts.